“Profound inequalities” exist for people from ethnic minority communities in “accessing mental health treatment, their experience of care and their mental health outcomes”. These were the findings of the Independent Review of the Mental Health Act, which submitted its final report to government in December 2018. Commissioned by Theresa May in October 2017, one of the principal aims of the review was to investigate the disproportionate numbers of black, Asian and minority ethnic (BAME) patients who are detained under the act each year. According to statistics from NHS Digital used by the review, in 2017-18 black or black British people were over four times more likely to be detained under the act than white people, with 288.7 detentions per 100,000 population as opposed to just 71.8 for the ‘white group’. The disparity was even greater in relation to community treatment orders (CTOs), under which people previously detained under certain sections of the act have conditions placed on their treatment in the community, with the possibility of being recalled to hospital if they deteriorate. Figures showed that black British patients were over eight times more likely to be on CTOs than white patients. The review also found disparities in the way BAME patients were treated within the system, with data indicating that they were disproportionately subject to restraint on wards. It said the reasons behind this were multiple, involving “longstanding experience of discrimination and deprivation” and “structural factors that engender racism, stigma and stereotyping”, and that there were “no single or simple remedy to resolve this situation”. As well as the data and evidence, the review strove to learn lessons from people with lived experience of the system. Steven Gilbert, who has a diagnosis of Bipolar Disorder and was detained under the act in July 2010, was one of the vice-chairs of the review, while the review was also supported by an African and Caribbean group, which helped it develop its recommendations. Many of the review’s headline recommendations are designed to improve the experience of patients from BAME groups. These include raising the threshold for detention under the act and the subsequent use of CTOs, enabling patients to nominate a person to be involved in decisions about their care rather than have this decided for them, and reducing use of restriction in inpatient settings. But there were also a number of more specific recommendations designed to tackle racial disparities in the system. In the wake of the review, Gilbert, who still receives care for his mental health conditions, explained the thinking behind some of the central recommendations around improving outcomes for BAME patients. For its primary recommendation, the review has backed the formation of an organisational competence framework (OCF) to help mental health providers understand what steps they need to make to improve provision for BAME groups and meet their obligations under the Equality Act 2010. This would build on an existing OCF being developed by NHS England for mental health, the patient and carer race equality framework (PCREF). The framework would encourage organisations to engage with patients from the local area by requiring them to seek feedback about care and treatment. Comments provided by patients would then be used to help trusts develop and design services around an area’s specific needs, which may differ depending on its demographics. It is hoped that, by speaking with patients from across the community, the specific needs of minority ethnic groups would be identified, helping trusts to adapt services and provide better care. By asking the local population to review their experience and share ideas for improvement, Gilbert told Community Care treatment would be “more effective and supportive”, particularly for BAME people, who are not always represented at board level discussions where decisions around the running of mental health services are held. For example, a study by Middlesex University in 2014 found that two fifths of London’s NHS trust boards for all professions had no BME members (executive or non-executive) on them at all. 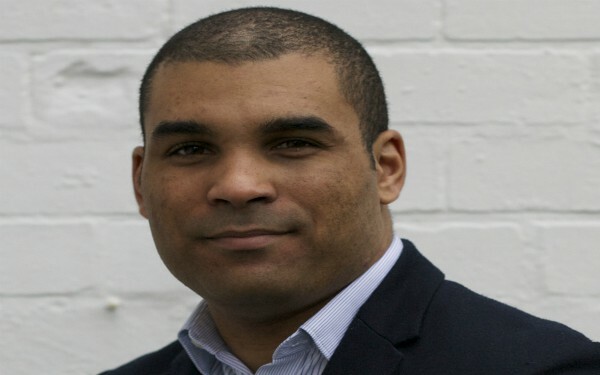 Gilbert said the framework would likely improve engagement among black African and Caribbean service users: “Being more open to the community increases the likelihood that people from ethnic minority groups, particularly people of black African and Caribbean heritage, will feel more comfortable using the service at an earlier stage of their illness. Review authors added that the framework would help providers tackle low levels of engagement in seeking help from some communities by designing services that were more attractive to people experiencing mental health problems. It would also direct staff to considering people’s wishes and preferences for treatment and help tackle structural factors leading to unequal outcomes between groups. In addition to helping identify the needs of patients from ethnic minority groups and improving outcomes, Gilbert explained how the framework had the potential to benefit people from all backgrounds. “We are using the lens of people from black African and Caribbean communities as our vehicle for developing this but, actually, so much of this is about not stereotyping people and understanding the needs of the ethnic minority communities. The framework would provide a “recurring feedback loop” to the boards, trustees, stakeholders and the public to keep them informed of progress within services. And, to give the PCREF teeth, regulatory bodies, such as the Care Quality Commission, would be asked to monitor compliance and attainment at a national level. Gilbert stressed the importance of the framework and its role in holding services accountable for failing to deliver high-quality care to people from all ethnic groups. “By and large, these are things that organisations should already be doing. We haven’t sort to create a new level of bureaucracy. “If organisations aren’t doing right, they should start to be held accountable, and these bodies [would] play a vital role in this. Without that accountability and without that stick, things won’t change. Culturally-appropriate advocacy was another recommendation proposed by the review, which it said could help increase engagement with services among BAME groups. Although the final report acknowledged advocates were “well placed” to help patients voice their individual needs, it found generic advocacy was “poor at proactively engaging” ethnic minority people. By providing patients with an advocate that has an understanding of their culture or community background, the review said people would be encouraged to engage with services earlier as they would feel more comfortable speaking about their mental health. Culturally appropriate advocacy would also be “key to reducing additional stresses and anxieties” that could exacerbate a patient’s condition. Gilbert said the current model of advocacy fell short of doing enough to engage people from ethnic minority groups. “If you look at collective experience, we know that, by and large, mental health services are not taking into account the cultural needs of people from different ethnicities. “Quite often, family members might not know the ins and outs of how the tribunal process works and what your rights are, so having access to an advocate is really important. An “underrepresentation” of specific ethnic minority backgrounds within the mental health workforce was identified as another issues contributing to the poor experiences of ethnic minority groups in mental health services. Particularly true of people of black African and Caribbean origin, the review found poor workforce diversity left service users feeling they “were not understood” by those meant to deliver therapy. In its report, the review backed the NHS Workforce Race Equality Standard programme, a programme designed to ensure employees from BAME backgrounds have equal access to career opportunities and receive fair treatment in the workplace. However, it also encouraged professional bodies overseeing the registration of staff to take steps to address the lack of ethnic minority representation within the mental health profession. It recommended that people of black African and Caribbean heritage should be supported to rise to senior levels of all mental health professions, which Gilbert said would be vital to bring about change. “I was with my community practice nurse the other day and she was saying that there are lots of people from different ethnicities working in the mental health trust and I said, ‘that’s true, but the majority of them are in the lower skilled, lower paid jobs – they are not represented at a high enough level’. This article indicates that very little has changed. When I was an Approved Social Worker, under the old system in 1991-93, the exact same research findings were reported at the time. This article does not make reference to the drug treatment provided to BAME patients. I’d be interested to know if the same findings would be made in this respect as well. In the 90s the research found that there was a greater likelihood of BAME patients being treated with much higher doses of anti-psychotic medication.